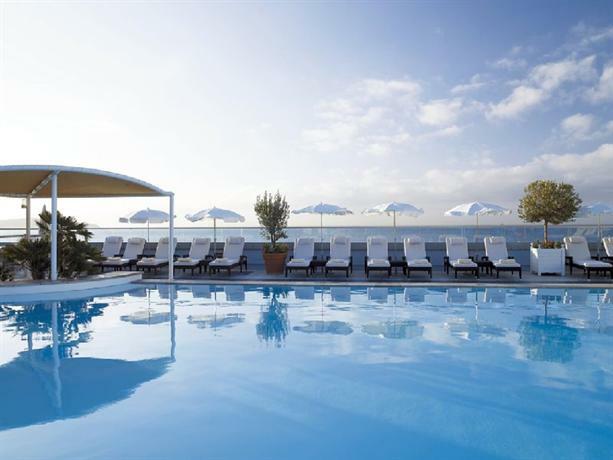 Located on the top floor of the Radisson Blu Nice the heated rooftop pool offers panoramic views of the Bay of Angels, the French Riviera and Mediterranean Sea. The outdoor pool and terrace features soft chaise lounge chairs, sun umbrellas, sculpted topiary, and a pool side bar and lounge known as Le Pool. Le Pool serves an extensive list of alcoholic beverages including champagne, and artisanal cocktails such as the Burn Kiss, or the El Gringo. The menu also includes a wide selection of light healthy fare.